1. Before installing, please take a look at the new furnace with ultrasonic clean for reference. 2. Run the belt and find the joint of the belt. When it comes out from the tunnel and shows up on the table A, stop the belt. Disconnect the belt at exit A, not entrance F. This is very important. Hold one end of the open belt (let's call it X) and prevent it from going back inside the tunnel. Add the extension belt to End X. The red curve is the belt in the picture. Estimated time: ~30 min. 3. Remove the tension roller and move it from B to D, you will need to make holes at D first. Estimated time: ~30 min. 4. Replace the air blade (a tube with slot) with a new one we ship them separately. Make sure the slot is facing the belt which will come out from the water. Estimated time: ~15 min. 5. Install the ultrasonic tank at C. Estimated time: ~15 min. 6. 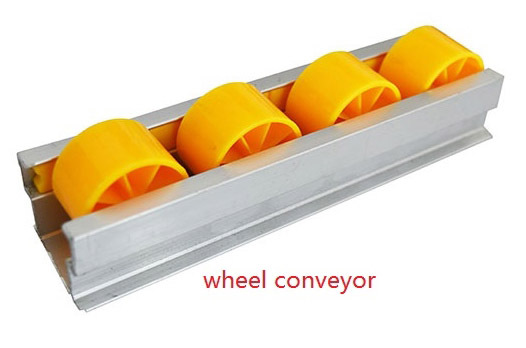 Remove the wheel conveyor at H. Estimated time: ~15 min. 7. Make holes and install the roller fixture at G. Estimated time: ~30 min. 8. Installer the ultrasonic generator at E. Estimated time: ~30 min. 9. Connect the belt. Do not let either end of the belt go into the tunnel before connected. Otherwise it will be difficult to get it out. Estimated time: ~20 min. 10. Connect the gas and water supply. Estimated time: ~30 min. 11. Make sure there is water in the tank before turning on the ultrasonic cleaner.